A risk-based approach enables your organization to provide appropriate levels of training and education for different communities and individuals across the organization based on factors such as role and geography. This targeted approach goes beyond simple “check box” compliance and ensures a more effective use of budget by focusing training efforts to maximize the return on the investment. 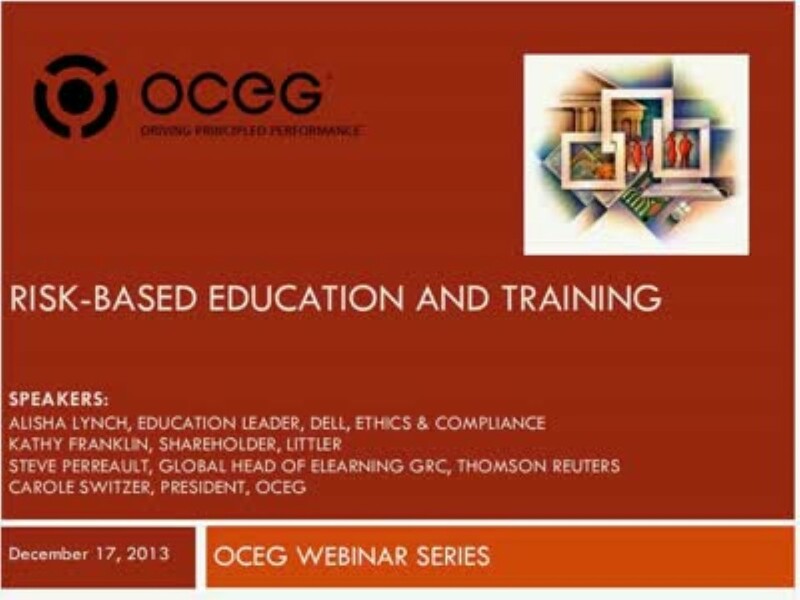 In this webinar, we will review the key aspects to consider when defining, designing and delivering education and training that will best support your organization’s objectives.